The December dinner and stated meeting is here! Come join us tomorrow at 6:30 for as special holiday meal with live music and a unwrapped toy for children will pay for your meal. Turkey dinner with all the trimmings. Fritz and Sean are going to spoil us! Bring an unwrapped toy to donate to the Catalyst Domestic Violence Services here in Chico. Help children of families affected by domestic violence have a safe and joyful Christmas. Your toy donation is in lieu of your $8 payment for dinner. Bring your Masonic Charity to CHICO! Accomplished Celtic harpist Susan Crane and her husband Bro. Sid Crane on mandolin will be performing Christmas songs during dinner from around the world. Susan just released her new holiday CD "Love's Devine Light". 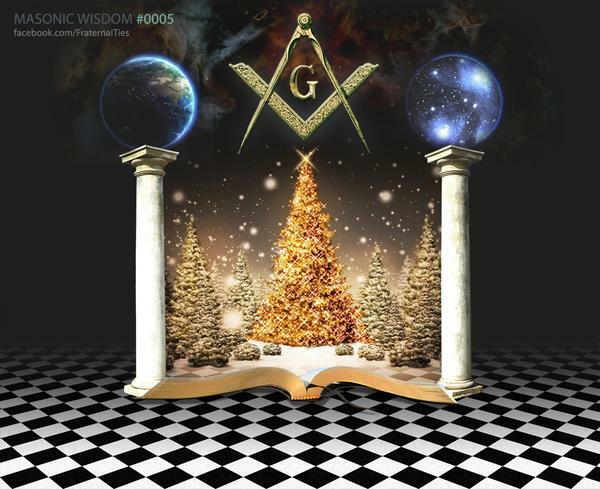 Come join us as we end 2017, the 300th anniversary of Freemasonry. Bring your family and a friend who might be interested in Freemasonry. Please try to RSVP with the lodge secretary, a simple email to 111secretary@sbcglobal.net is helpful to plan for dinner numbers. Lodge Openhouse in the News!